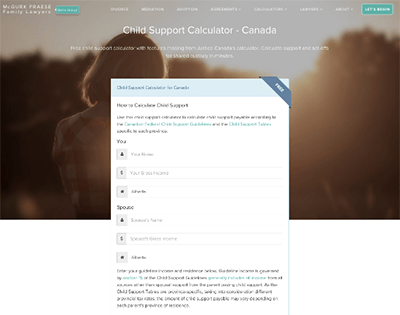 This is an easy-to-use child support calculator for the Yukon. You can use it to calculate child support for the Yukon territory pursuant to the Federal Child Support Guidelines. For shared or split custody arrangements try the advanced child support calculator. It can be difficult to find information about child support in the Yukon. 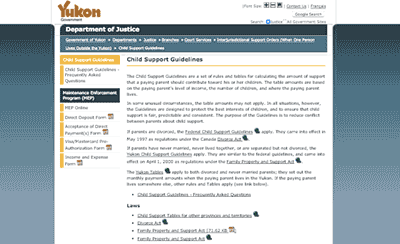 While this page offers a way to calculate support, you should contact your local court or legal assistance office to learn more about how to bring a child support claim in the Yukon. Contact a Yukon family lawyer to learn more about child support in the Yukon. 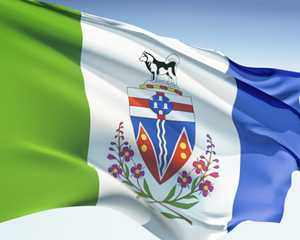 Free legal resources may also be available from the Supreme Court of the Yukon. A visual child support calculator with advanced features including shared/split custody, tax analysis and spousal support calculations. The Yukon Maintenance Enforcement Program (MEP) educates on child support issues and assists with collection of child support and spousal support in the Yukon Territory.